“Every detail counts.”This is the slogan we used in the latest edition of the Tour de France to present a new member of our road bike family: the Orca Aero. Here we’ve summarized the highlights of what the media has had to say about our most aerodynamic model. 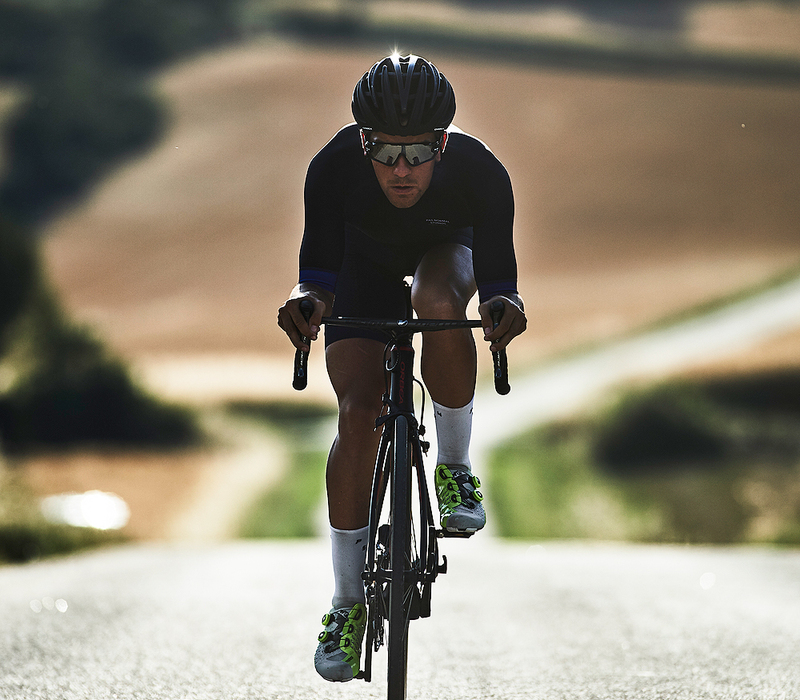 “The new Orca Aero is a milestone with which the Basque brand rounds off its road bike range, making an important leap forward in terms of quality. Joaquín Calderón, the tester at “Ciclismo A Fondo”, describes the frame as “very compact” and highlights how we’ve taken advantage of the elimination of the UCI 3:1 bike design rule to improve the aerodynamics of the Orca Aero. Until now, the ratio between the length and width of the tubes could not exceed this proportion. The relaxing of this rule has enabled us to imagine a more aerodynamic bicycle, and one of the elements that has most benefited from it is the Freeflow fork, precisely the technology that Ciclismo A Fondo noticed right away:“Just by using wider tubes on the legs of the fork,” the Orca Aero “is 8.4 seconds faster over 50 km than the current Orca OMR (with a savings of 27 watts)”. Dan Cavallari already had the chance to test our Orca Aero this summer and his impressions were very positive. The Tech Editor at Velonews has made it clear that this is a “top” model for the sprint stages of the great cycling competitions, but that “it could easily be the only bike in your garage,” as long as you understand what it has been created for: “rolling terrain, fast sprints, and occasional forays into the mountains”. Dan confesses that he loves to sprint:“I want to test my short-term bursts handlebar-to-handlebar with the big legs, and I want to do it on a super-responsive bike tailored for speed and stability. Snappy handling is a bonus.” He has found all of this in the Orca Aero and “that’s why I have had so much fun with it”: “a sleek machine for the breakaway artists and flat-stage blasters”. What's more, the part-American indicates that this is an “incredibly rigid” bike that “you can torque on it dramatically without a bit of give”. Our friends at GCN are also decisive when it comes to defining our aero bike, and like “Ciclismo A Fondo,” they explain that “it is more aerodynamic” than its competitors, being “one of the first” bikes to benefit from the elimination of the 3:1 ratio in bike design. “The fork blades are super narrow but also super deep”, which “also helps improve its rigidity”:“The chainstays are absolutely massive and so that means it is phenomenally stiff”, concludes Simon Richardson. James Huang, technical director of Cycling Tips USA, traveled to the Basque Country to test our Orca Aero. In his opinion, this is a bike is “quick handling,” “with just the most delicate input required to snake through tight and fast corners”. “That said, it is admirably stable at high speeds,” he indicates, adding:“Combines the standard Orca’s proven geometry with a sleek and modern shape to help it slice through the air more efficiently”. James indicates that the bicycle “is wonderfully stout and balanced from end-to-end when mashing the pedals out of the saddle, and the giant, asymmetrical chainstays transfer power with a smooth, efficient feel whether seated or standing”. 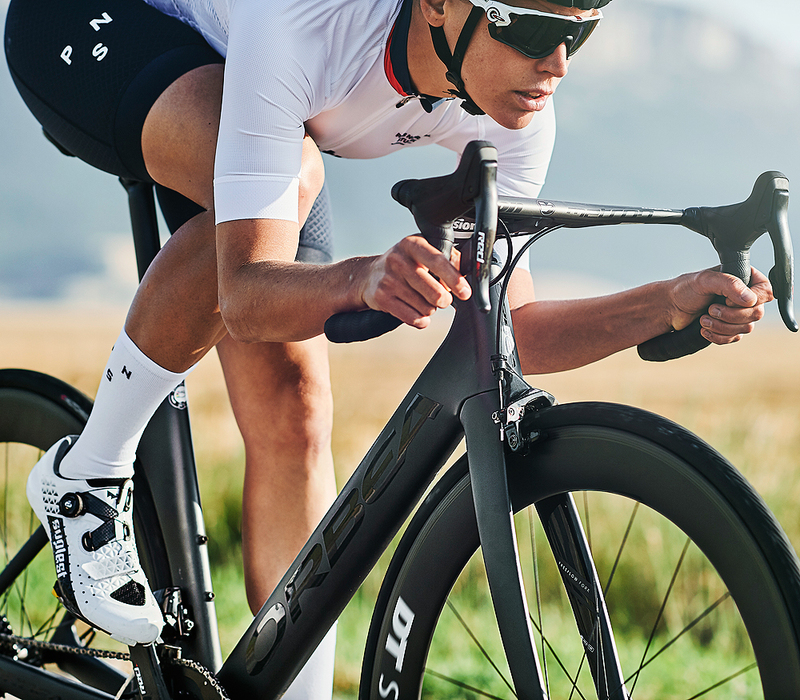 “A new era,” is the headline that Velochannel chose to describe its impression of the Orca Aero, highlighting as its strong points its “efficiency, stiffness, aerodynamics, finishes and the MyO customization program” you already know all about. The French website described our aero bike as being “terribly effective,” and “a beast on the road, with a carefully studied price-quality ratio.”Velochannel situate the Orca Aero within the new trend in competition bicycles, comparing it to models such as the Canyon Aeroad or the Pinarello F10. The U.S. magazine was one of the many media sources to attend the Tour de France, and was with us at the presentation of the Orca Aero to the world press:“Orbea was able to take advantage of the newly relaxed UCI technical guidelines and went deeper than 3:1 on the tube shapes”. It also spotlights the wider fork opening, which reduces the pressure as air flows through the wheel and fork, reducing the drag (aerodynamic resistance to forward movement) by 4 watts. Peloton turned its attention to the seatpost, “designed to reduce air turbulence, without sacrificing the vibration absorption capacity.”The seatpost on the Orca Aero is both reversible and adjustable, thanks to a system that, unlike on other aero bicycles, permits a longer range of seat movement. At first glance at our new road bicycle, Robin Schmitt, director of Granfondo, asked himself whether our Orca Aero was “faster than fast” and if we have taken concepts such as “aerodynamics,” “customization” and integration to the next level. What would cause “the most exciting cycling magazine” to ask these questions? These three characteristics are aerodynamics, emphasizing the larger tubes and freeflow fork we have already mentioned, the rigidity and integration, where they highlight our ICR plus system for optimal internal cable routing, without friction, easy to install and maintain, and compatible with mechanical, electronic and wireless transmissions. Cycling News, one of the most important websites in the world specialized in cycling, also paid attention to our Aero model during the last edition of the Tour de France, defining it as “punchy” and highlighting “the sculpted shapes” of its seatpost. According to Road.cc, integration is the trendy word in the aero bicycle market, and that is why they noticed the different options offered by our Orca Aero assembly. This aspect is also stressed in Road cycling (UK).